painting stuffed animals is fun! 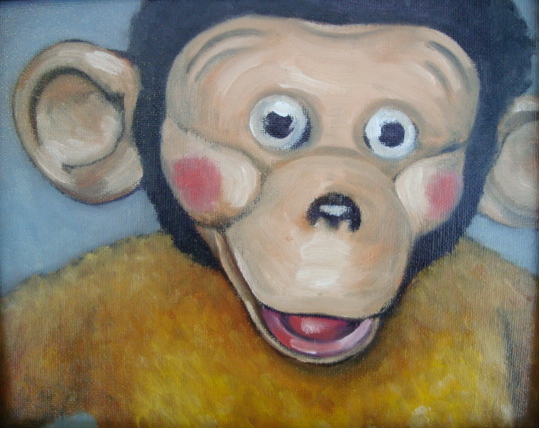 this stuffed monkey was my very best friend as a little girl- i brought him everywhere with me. 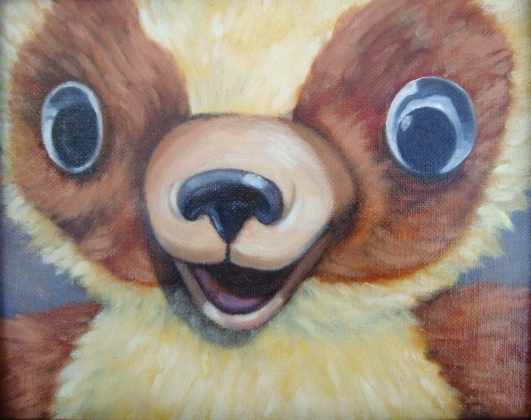 i even chewed off a few of his fingers and also part of the banana that he held..
this painting makes me smile as if this bear’s extreme joy is viral. it is also a little unsettling somehow..
i love how emotionally animated these paintings turned out to be- carrying the foggy, magical memories of the years when we so much younger..